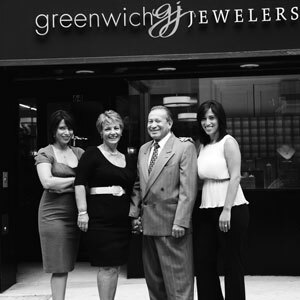 Greenwich Jewelers Adds A Bit of Sparkle to Fashion’s Night Out on September 10th! Greenwich Jewelers and jewelry expert & blogger Beth Bernstein will offer guests style and trend tips for the upcoming fall and winter seasons during their Fashion’s Night Out event. Featuring exquisite collections of designer jewelry from Anne Spartun, Jamie Joseph, Lika Behar, Melissa Joy Manning and Saundra Messinger, a silent auction will be held in support of the Greater New York City chapter of the Susan G. Komen for the Cure. A specialty piece designed exclusively for Greenwich Jewelers is a Gorjana bracelet, a free gift with any purchase of $250 or more during the event. Refreshments and live music will be offered during the silent auction. The event and silent auction will be held between 7-11pm. Check out the pieces being auctioned at the event below!